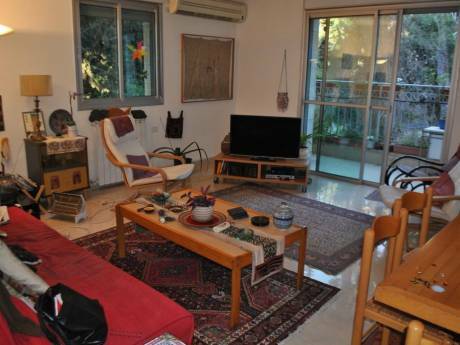 Situated on a quiet little street overlooking ein karem and the mountains to the west, this recently expanded and renovated apartment is a true home. 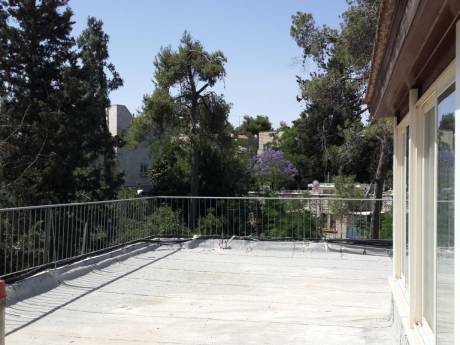 Coming down the stairs from the street you find yourself in a spacious garden leading to our wooden deck, a great place to sit and enjoy the Jerusalem air in the shade of a birch tree. Inside is the kitchen overlooking the garden, an inviting living area, with a piano and a guitar, next to it a bathroom with morrocan tiling. The master bedroom has a walk-in closet and a very comfortable bathroom. Not to mention a daily view of the sun setting behind the mountains. All in all a house to fall in love with. Osnat is a landscape architect and the person responsible for planning and renovating our home. We are thankful for her talents. Ariel is a freelance creative director who does most of his directing from his home office. Together we have also managed to plan and produce three wonderful children who enjoy this house as much as we do. 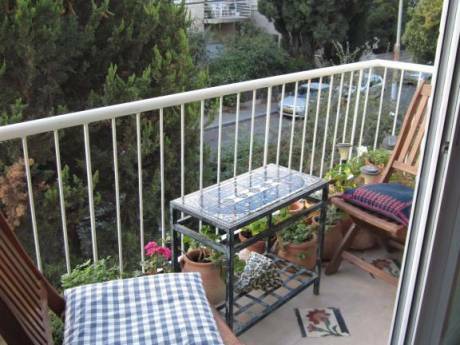 Our house is located in the western slopes of the kiryat yovel neighborhood in Jerusalem, directly above ein karem village, which alows for quick access to the road west to tel aviv and to the malcha mall. 15 minutes away from the city center and all the museums.